Dr. David Cifu: Do Veterans with PTSD Want Him in Their Corner? Stand for the Troops (“SFTT”) has written extensively about treating Veterans with PTSD and TBI. Sadly, much of the publically available literature for brain-related injuries deals with identifying the symptoms and helping Veterans – and their loved ones – cope with terrible consequences of living with PTSD and TBI. – Is treating the behavioral symptoms of PTSD and TBI enough for Veterans? – Have we given up hope in helping Veterans permanently reclaim their lives? Sadly, treating the symptoms of PTSD/TBI is generally confused with actually providing Veterans with a meaningful long term solution to overcome the debilitating impact of a war-related brain injury. The phrase in quotes are my words, but I suspect that conclusions of the multi-million dollar clinical study will not differ significantly. The use of mind-altering drugs – whether medicinal marijuana or opioids – will most certainly help Veterans cope with the debilitating pain and anxiety of PTSD and TBI, but will prescription drugs meaningfully contribute to curing brain injury among Veterans? While the Department of Defense (“DoD”) and the Department of Veterans Affairs (“the VA”) have largely agreed that prescription drugs is not the answer, there is little evidence that the DoD or VA are clearly committed to provide Veterans with a clear path to full recovery. As the SFTT and others have pointed out, the VA has little – if anything – positive to show in having treating tens of thousand of Veterans with PTSD and TBI with these therapy programs. You don’t have to be a brain surgeon (sorry for the very poor pun) or even Dr. David Cifu to recognize that currently recommended VA therapy programs have failed Veterans miserably. Nevertheless, Veterans, the public and countless Congressional committees continue to listen to the same irresponsible dribble year-after-year and buy the same stale argument that Veterans are getting the best treatment possible. To use a popular phrase, a little “fact-checking” would go a long to way to dispelling this insipid myth. Dr. David Cifu represents what is wrong with the VA: A lack of willingness to consider other alternatives. As Judge and Jury on what constitutes “authorized therapy programs,” the VA has effectively precluded thousands of Veterans from seeking “out of network” solutions that appear to provide a far better long-term outcome. The VA claims otherwise as we have seen in a long battle over the efficacy of Hyperbaric Oxygen Therapy (“HBOT”) in treating Veterans with PTSD and TBI. Dr. David Cifu stands behind questionable studies that suggest that there is insufficient clinical evidence to support the thesis that HBOT can improve brain function. In fact, Dr. Paul Harch, cites plenty of evidence in an academic study for the National Library of Medicine (Medical Gas Research) that conclusively demonstrates the lack of substance to Dr. Cifu’s bland and misleading opinions. 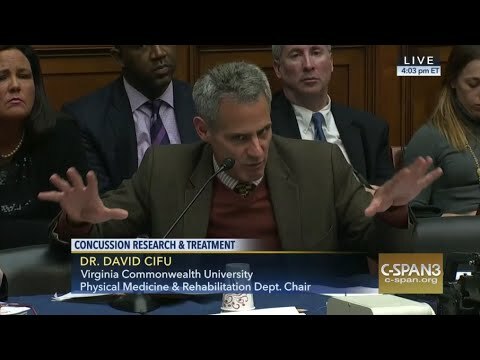 It is difficult to know whether new leadership within the VA will lead to more openness in providing Veterans with PTSD/TBI the support they require in finding therapy programs that work, but unless gatekeepers like Dr. David Cifu can be shown a quick exit, it is unlikely that much will change. Our brave Veterans deserve far better than the sad and tragic delusional claims of Dr. Cifu.